Our lab does not replace live fire, we offer the most realistic experience you can possibly get without the cost of live ammunition and the dangers of live ammunition whizzing by. The indoor tactical self-defense training and education facility is housed in a 7,600 sq. ft. industrial building at the Spectrum Point Business Park located in Lake Forest. We have a classroom that can accommodate up to 50 people. Once in the lab, you receive all the gear you need during your training session. The indoor tactical self-defense training area aka The Lab is climate controlled and has over 5,700 sq. ft. warehouse space converted to house the oversize shooting simulators. 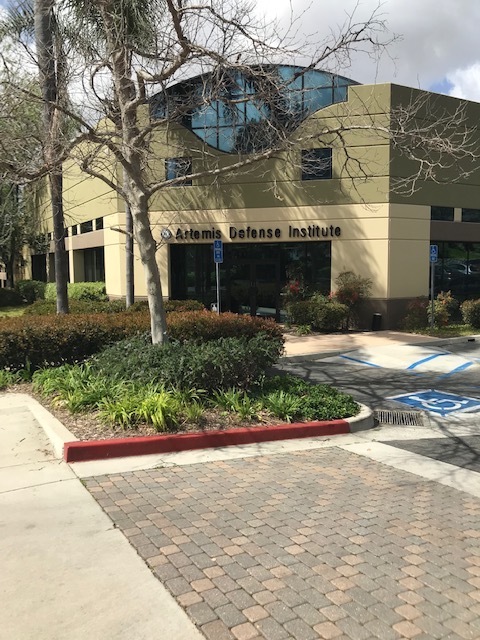 A lab is a place to practice, observe, and test… and that is exactly what we encourage you to do at the Artemis Defense Institute. We want you to try new techniques, make your mistakes and work your mental agility in an environment where it is 100% safe. "I really enjoyed and benefited from the training I received at Artemis. The staff is knowledgeable, friendly and they really care about the comfort safety and ultimately the proficiency of the students. The equipment is top notch and the curriculum really makes sense. I would heartily reccomend Artemis Defense to anyone looking for firearms training, comrade, and an inoculation to high stress events through simulated yet relevant experience. I will certainly be back."